From: The north. Exit 170 (Judson Road). 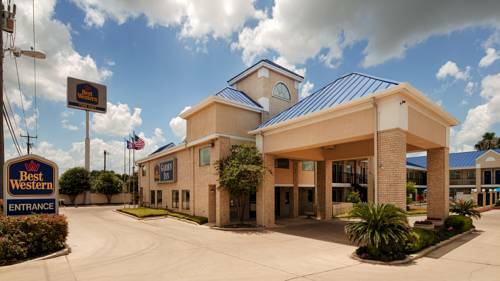 Stay on Frontage Road to the Best Western Garden Inn. From: The south. Exit 170 A (Judson Road). Make two left turns stay on Frontage Road the Best Western Garden Inn. From: The east. 1604 East to 355 Exit 170 (Judson Road). Stay on Frontage Road to the Best Western Garden Inn. From: The west. 1604 West to 355 Exit 170 (Judson Road). Stay on Frontage Road to the Best Western Garden Inn. 0.10 mile(s) from Sonic, fast food, open for: lunch, dinner, 11:00 a.m. to 1:00 a.m.
3.00 mile(s) from Mama's Cafe, American, open for: lunch, dinner, 10:00 a.m. to 10:00 p.m.
3.00 mile(s) from Olive Garden, Italian, open for: lunch, dinner, 11:00 a.m. to 11:00 p.m.
3.00 mile(s) from IHOP, American, open for: breakfast, lunch, dinner, 6:00 a.m. to 12:00 a.m.
3.00 mile(s) from Salsalito, Mexican, open for: lunch, dinner, 12:00 p.m. to 10:00 p.m.
3.00 mile(s) from Panda Express, Chinese, open for: lunch, dinner, 12:00 p.m. to 10:00 p.m.
3.00 mile(s) from Seven Seas, Seafood, open for: lunch, dinner, 10:00 a.m. to 10:00 p.m.
2.00 mile(s) from Macaroni Grill, Italian, open for: lunch, dinner, 10:00 a.m. to 10:00 p.m.
2.00 mile(s) from TGIF, American, open for: lunch, dinner, 10:00 a.m. to 10:00 p.m.
3.00 mile(s) from Texas Roadhouse, Steakhouse, open for: lunch, dinner, 10:00 a.m. to 10:00 p.m.
3.00 mile(s) from Peter Piper Pizza, open for: lunch, dinner, pizza, 12:00 p.m. to 10:00 p.m.
2.00 mile(s) from Outback Steakhouse, steakhouse, open for: lunch, dinner, 10:00 a.m. to 10:00 p.m.
0.10 mile(s) from McDonald's , fast food, open for: breakfast, lunch, dinner, 6:00 a.m. to 2:00 a.m.
Garden - 3.00 mile(s) from Olive Garden, Italian, open for: lunch, dinner, 11:00 a.m. to 11:00 p.m.